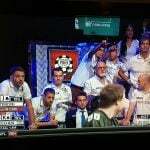 The WSOP November Nine are ready to rumble for one of the biggest prizes around if you like money. Yup, the final table of the 46th Annual World Series of Poker will play out on ESPN beginning this Sunday. 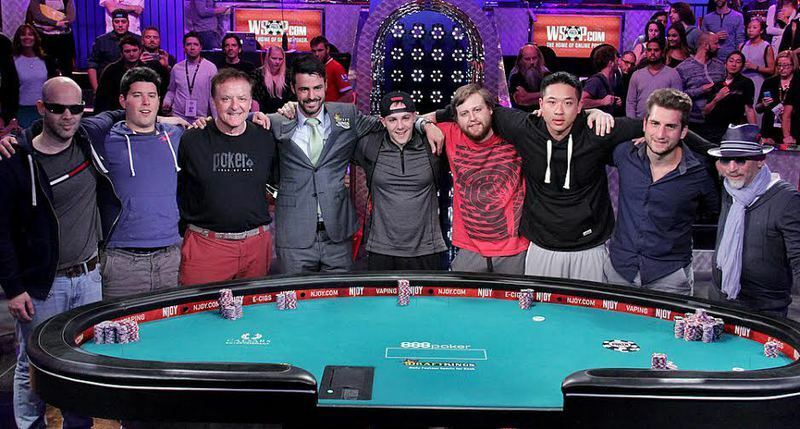 After almost four months’ hiatus, the final nine players are back to do battle for the $7,680,021 top prize and a place in the annals of poker history. 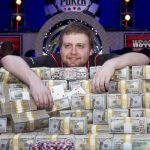 A total of 6,420 players put up the $10,000 buy-in last summer, each dreaming of winning the big one. And after seven days play there were just nine left, each now already a millionaire, with a guaranteed minimum ninth-place payday of $1,001,020. But ultimately there can be only one champion. Will it be chip leader Joe McKeehen, a 24-year-old professional poker player from North Wales, Pennsylvania? With a whopping 158 big blinds to play with, McKeehen will be the man to beat. At 72 years old, could Belgium’s Pierre Neuville, already the oldest-ever November Niner, become the most senior poker world champion of all time in a top-tier event? The former toy executive renounced poker for most of his adult life before a near-death experience convinced him to follow his dreams again. Sitting in fourth place, Neuville has 53 big blinds and a shot at the title. 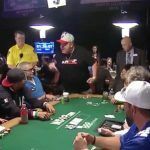 So too does well-known pro Max Steinberg, who parlayed a $27 DraftKings deposit into a seat at the final table and a chance to win the big one. Steinberg is the only November Niner this year with a WSOP bracelet, which he picked up in 2012. The remaining six players comprise four Americans, an Israeli, and an Italian in Federico Butteroni, who, as the short stack coming in on Sunday with just 15 big blinds, will be clinging on by the skin of his teeth. Cards go in the air at 5 pm PST on Sunday, November 8th at the Penn & Teller Theater in the Rio Casino in Las Vegas. The ESPN broadcast will be operating on a 30-minute time delay, for a 5.30 pm PST kick off. This means that, as has been the case for the last few years, players will be able to review previous action during beaks, hole cards and all. The players are back minus three on Monday, November 9th on at 5pm PST. Finally, the last two players standing will meet up again on at 5.30pm on Tuesday for the heads-up finale and the crowning of the champion. On Sunday, though, the event will resume with 57 minutes, 36 seconds left on the clock in Level 35, with antes at 50,000 and blinds at 200,000 and 400,000. Thomas Cannuli, in Seat 5 has the button.